We are a renovation company that services the Ottawa area, and we specialize in residential home improvements – inside and out. If you find yourself frustrated with your current living space and you’ve decided to do something about it, we are here to help you with your home makeover. Bring your ideas to us and we can work together to bring life back into any tired and dark space within your home. Genesis Renovation cares about your home as much as you do and we believe in providing an excellent service whether it be painting, new flooring, renovating or our handyman service. We will perform your home makeover with the least amount of disruption to you and your family, along with a solid guarantee. All of this for a great price. Everyone knows that one way to improve the value of their home is to invest some money in renovations to the key areas. If you are thinking about a home makeover such as finishing that basement, looking to finally fix up that home office or to give your home a fresh coat of paint, let our team come to your aid. Genesis Renovation will provide you with a written quote so you always know what to expect when planning and budgeting for your home improvement project. We work with a minimum of disruption to you and provide a daily clean-up of all work areas, making sure that your home renovation is a fun and exciting experience. We are a renovation and home improvement company who values the relationships we’ve establish and aims to deliver the highest quality guaranteed service to our clients. 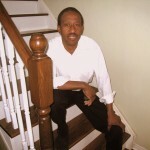 Genesis Renovation Services was formed by the combined efforts and talents of Leroy (above photo) and Donna Campbell. Leroy Campbell has close to 15 years in the housing industry as a real estate agent, income property owner/manager and renovator. Donna Campbell has over 20 years of administrative experience as well as many years as an income property owner/manager.